For a limited time, the Little Book of Lashes Gift Set is available at a special offer of $99.95 AUD instead of the RRP of $172.87. To participate, simply add the Little Book of Lashes Gift Set to your shopping bag and your free Eyelash Adhesive and Black Precision Lash Adhesive will automatically be added to your bag. The total price of the bundle will be $99.95. Promotion period commences at 05:00AM AEDT Sunday 3 February 2019 until 11:59PM AEDT Saturday 2 March 2019 unless sold out prior. Offer valid only while stock lasts and not applicable to cancelled orders due to out-of-stock merchandise. Limit of one (1) redemption per customer. This offer is not applicable with returned merchandise; the value of the free item will be deducted from the value of any returned items. Customer is responsible for shipping costs for returned merchandise. To participate, simply add any of Dr. LeWinn's gift sets to your shopping bag and you will be prompted to select your free Ultra R4 Collagen Firming Face Mask or Ultra R4 Collagen 360˚ Masks. All orders placed with qualifying products during the promotional period will be eligible to receive the free item. Qualifying products apply to items 74294, 74293, 74292 and 74322. Free item only applied to items 74318E and 74319E. 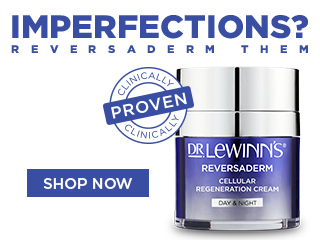 You must add one (1) Dr. LeWinn's Gift Set to your bag at the time of purchase to receive free item. Offer valid only while stock lasts and not applicable to cancelled orders due to out-of-stock merchandise. Limit of three (3) free item(s) per customer. Promotion period commences at 05:00AM AEDT Sunday 3 February 2019 until 11:59PM AEDT Saturday 2 March 2019. All orders must be confirmed by 11:59PM AEDT Saturday 2 March 2019 to receive free item. This offer is not applicable with returned merchandise; the value of the free item will be deducted from the value of any returned items. Customer is responsible for shipping costs for returned merchandise. Not in conjunction with any other offer. To participate, simply add one (1) large Lady Jayne brush to your shopping bag and you will be prompted to select your free purse-sized brush. You must order one (1) qualifying Lady Jayne brush during the promotional period to receive discount. Discount is only applied to the purse-sized brushes. Limit of three discounts per customer. Promotion period commences at 05:00AM AEDT Sunday 3 February 2019 until 11:59PM AEDT Saturday 2 March 2019. Orders must be confirmed by 11:59PM AEDT Saturday 2 March 2019 to receive discount. Offer valid only while stock lasts and not applicable to cancelled orders due to out-of-stock merchandise. Discount not applicable with returned merchandise; total value of discount will be deducted from the value of any returned items. Customer is responsible for shipping costs for returned merchandise. Not in conjunction with any other offer."